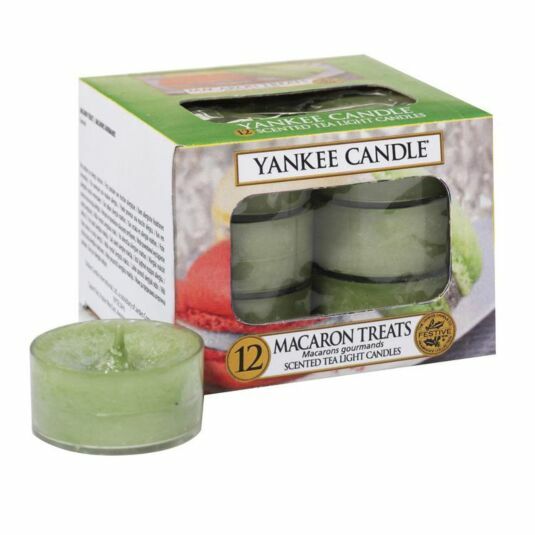 The weather outside might be frightful, but a festive cocktail is most delightful with this range of colourful and warming fragrances and this Macaron Treats Pack Of 12 Tealights from Yankee Candle, part of the Holiday Party range of fragrances. The classic Parisian macaron – sweet as can be and lighter than air, with notes of vanilla, almond and of course, sugar. Top notes of Raw Sugar and Confectioner’s Sugar mingle with middle notes of Cookie and Almond and base notes of Vanilla. These tea lights have a burn time between 4-6 hours and reflect a fresh and tropical sense of style that’s always at home, be it in the bedroom, the bathroom, the living room, or anywhere else you see fit. A fabulous gift for a friend or a treat for yourself.